In the 90s, playing in a poker tournament with a buy-in of $1.000 was considered as enormous. The Main Event at $10,000 of the WSOP was at the end of the 90s reserved to the wealthiest and sponsored players. Since then, poker has known a significant boom to the point that buy-ins at more than $100,000 have become common on the circuit. Baptized Super High Rollers, these tournaments with very high buy-in were subject of great criticisms, after that Daniel Negreanu had carried out five rebuys at $100,000 during the Aussie Millions. 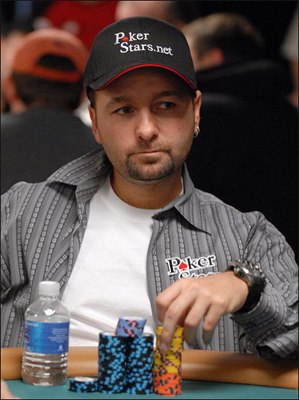 Negreanu has brought explanations on the reason of his multiple rebuys on his blog, and also on the interest of the Super High Rollers in the universe of poker; even if for some people, investing such sum in a tournament seems unimaginable. The Super High Rollers tournaments have created a lot of buzz, but the reason of his introductions proceeded from spectators and some players themselves. Fanatics are always looking for show at poker and tournaments with big stakes guarantee them a moment of shiver. Its also the case for professional and well-off players who are always looking for some challenge. These tournaments always interest rich businessmen, given they dont have a lot of time for tournaments spreading over more than four days, following the example of a Main Event. Some pro players prefer meetings with high blinds : Daniel Negreanu himself, Phil Ivey, Tom Dwan, Isaac Haxton, Mike McDonald, Fabian Quoss are for example regulars of these tournaments. All these players have already had seven-digit gains in events with a buy-in of $250,000.